I think many of us like to think of the Insulated Conductors Committee as the most magical committee in the IEEE, so it makes sense that we are bringing the ICC to The Most Magical Place on Earth . . . Walt Disney World. We will be holding our Fall 2018 meeting at the Walt Disney World Swan Resort, which is one of the EPCOT area resort hotels. For our meeting, the Walt Disney World Swan offers a world class conference center with modern and spacious meeting rooms suitable to accommodate the growing membership and attendees for the ICC meeting. While the ICC is focused on technical activities, much of ICC is about connecting with people and possibly being accompanied by family members. . In addition to the grand meeting spaces, there are plentiful alternatives for organizing dinner meetings and discussions in and around the Swan Hotel and the nearby Promenade Pier (formerly the Disney Boardwalk) area. We will be hosting an exciting ICC reception outside along the lagoon adjacent to the Swan Hotel (weather permitting), and there will be a 5-kilometer (5k), actually a “5 kilo-ohm (5kΩ)”, fun run / walk around the hotel area on the Sunday morning on the day of the evening reception that will raise money for the Breast Cancer Research Foundation. The Disney World Resort offers four main theme parks (Magic Kingdom, EPCOT, Disney Hollywood Studios and Animal Kingdom) as well as extensive shopping and activities in Disney Springs (formerly “Downtown Disney”). In addition, the Swan Hotel is nearby many other Orlando attractions. If your schedule allows, Disney World offers some exciting Halloween-themed activities that you may be able to explore after the ICC meeting adjourns on Wednesday. Mickey’s Not-So-Scary Halloween Party at Magic Kingdom is one such activity you might consider exploring. A printable invitation is linked here for those that might need it for management or other approval. A “final” agenda has been posted here. (Updated 10-23-18) Any further changes to the agenda will be posted at registration. In addition to the PDF agenda, the ICC is using a smartphone/tablet schedule based on the guidebook.com platform. 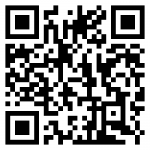 Guidebook can be downloaded from the “app store” on most smartphones, or by scanning the QR code below. Then you can easily add our meeting by searching on “ICC” within the app. The Subcommittees will sponsor many Technical Presentations on key topics in their fields of interest. The theme of the Fall 2018 Educational Program is “Medium Voltage Cable Manufacturing Fundamentals”. Abstracts of the presentations will be found here. 0.4 IEEE CEUs will be offered for this session. You must register in order to receive CEUs. Online Registration will be open from 8:00 AM US Eastern time, Monday September 17, through 5:00 PM Friday, October 19, 2018. A spreadsheet is posted here to calculate registration costs. We encourage you to register on-line and pay by credit card to take advantage of the lower Advance Registration fees. Use the on-line registration before Friday, October 19, 2018. NOTE: Effective with the Fall 2018 Meeting, advance payment will be required to get the advance registration rate. Advance payment can be made by Credit Card through the registration system, or by mailing a check to the Membership Secretary. Online meeting registration can be used by everyone, both members and guests, and will speed registration for everyone. Pre-registration will save you time and hassle when you arrive, as your nametag will be ready and waiting for you. Please note our policy on refunds. For those that cannot register online for any reason, an offline registration form will be posted. This meeting will feature a Mini-Expo for vendors to make table top displays of equipment and services related to the scope of the ICC. You can sign up for a table top display using the meeting Registration form. A list of exhibitors can be found here. Guidelines on displays can be found here. First Meeting? Want to know more about the ICC? Please attend the Orientation Session on Sunday afternoon. There are many different sessions at ICC meetings and they cover a multitude of subjects related to insulated conductors. Information presented at Orientation will help you find the sessions that are of most interest to you. 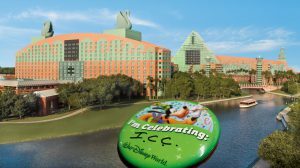 The ICC conference hotel, Walt Disney World Swan Hotel, is sold out for the time of the Fall 2018 meeting. Two nearby hotels have offered courtesy room blocks, subject to availability with rates shown until 10-October-2018, but space is limited. You are encouraged to call the hotels directly. NOTE: The ICC meeting rate for the hotel is only for registered meeting attendees. Courtyard by Marriott, Marriott Village, +1-407-938-9001) Map Link – They will provide courtesy transportation early in the morning and late afternoon between the Courtyard Reservation Link and the Swan Sunday (5-7pm), Monday-Wednesday (6:45-7:45am, 4:45-5:45pm). Rate is $139 plus tax (12.5%). Parking is $10 / day. Wyndham Bonnet Creek Resort Map Link – This hotel has more amenities compared to the Courtyard but will not provide any transportation to the Swan hotel. There are two areas available: Wyndham Garden Lake Buena Vista [+1-844-482-8444] ($119 / night single or double), or Wyndham Resort Lake Buena Vista [+1-800-624-4109] ($179 / night for 2 queen beds). Taxes are 12.5%. They have waived the $25 resort fee. Cut off is 28-September-2018. Self parking at the Swan is $23 / day for outside visitors and $33 / day for valet service. Trouble Finding a Room for the Upcoming Meeting: If you are unable to obtain the hotel nights your want, reach out by e-mail to Jennifer Quandel at HPN Global who is assisting the ICC with our room block, wait list and overflow hotel(s) (JQuandel@hpnglobal.com). If your company plans to have a hospitality suite in conjunction with this meeting, be sure to see the Guidelines page. Disney Park Pass Discount – As part of the Fall 2018 ICC meeting, a special “microsite” has been made available for ICC attendees, family members and friends to purchase discounted Disney World park passes. Tickets are available for purchase through the discounted website until 27-October-2018 at 5pm. Purchasing of tickets to the amusement parks is entirely separate from the ICC meeting registration. Discount – 10% discount on advanced purchased multi-day (2 or more) tickets up to 8 days (annual passes or longer multi-day passes are not available through the microsite). Other Attractions – Included with purchase is one (1) complimentary visit to Typhoon Lagoon (water park), Blizzard Beach (water park), Winter Summerland mini-golf, Fantasia Gardens mini-golf, or greens fees for a round of golf at Oak Trail 9-hole Golf Course. Special “Partial Day” Tickets – These ticket types are only available through the microsite and are intended for 5pm to close at any of the four major theme parks. The idea is that if you want to visit a park after a day at the ICC meeting, you don’t have to pay the full-day admission cost. Advice: If you are planning on visiting the parks for 2-3 days before and/or after the ICC meeting, you may find it more economical to just get a multi-day park pass for the total number of full and partial days. NOTE: The park pass purchase website is entirely separate from the ICC, subject to the site’s purchase terms. You can also purchase tickets directly from the Disney World website or at the ticket booths near the various park entrances. 5kΩ Fun Run / Walk & Breast Cancer Awareness Month – We will be holding a 5k (3.1 mile) non-competitive fun run / walk at a course that is nearby to the Swan Hotel. 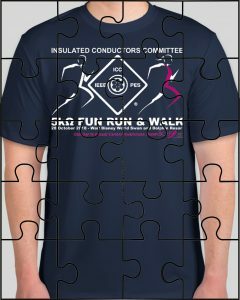 Advanced registration is necessary to participate in the Fun Run / Walk for a cost of $55 / person and will include a commemorative dry-fit ICC fun run / walk shirt designed by the ICC Executive Committee. The advanced registration is necessary so that shirt sizes may be collected in advance to place an order. On-site sign-ups for the fun run / walk will not be available (no exceptions). October is Breast Cancer Awareness Month in the United States, and net proceeds from the fun run / walk will be donated to the Breast Cancer Research Foundation. The fun run / walk will take place on Sunday, 28-October-2018 with check-in at about 7:30am and an anticipated start time of 8am. Further details will be provided closer to the meeting, but we anticipate proceeding with the run/walk regardless of the weather (rain or shine). The course is around the Walt Disney World Swan and Dolphin Resort property and portions of the area near the Promenade Pier and pathway between the Swan/Dolphin and Disney Studios. Note that participating in the fun run will not require the spouse/companion registration. A meeting room will be available for spouse/guest activities and group organization within the hotel each day. 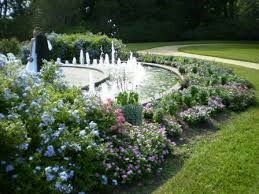 Let’s begin with the Harry P. Leu Gardens. Explore an amazing 50-acre botanical oasis minutes from Downtown Orlando. Each garden is designed specifically to further our mission: inspire visitors to appreciate and understand plants. In 1961, Mr. Harry P. Leu and his wife, Mary Jane donated their garden and historical home to the City of Orlando. 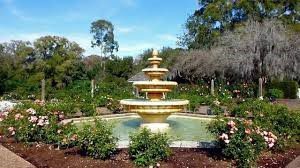 Leu Gardens teems with vigor and beauty, regardless of the season. Discover palms, cycads and flowering trees. Enjoy azaleas, vines, bromeliads and tropical philodendrons. Appreciate the sight of familiar annual flowers and the beauty of roses and camellias. Stroll under the awe-inspiring branches of camphor trees, elms and oaks. Roses, Philippine violet, beautyberry, hibiscus, floss silk tree, blue ginger, cassia, and hibiscus. NOTE: The Leu Museum (home) is still under (massive) repairs from Hurricane Irma and will most likely still not be operational by the time your tour will take place. After the 1 hour – 90-minute tour of the Gardens, I am sure that appetites will be ready to be satisfied. 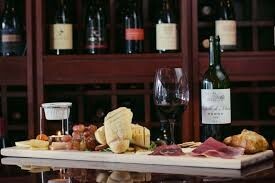 With that thought in mind, we suggest the Park View Restaurant in downtown Winter Park, on Park Avenue! The Parkview restaurant is right on Park Ave overlooking the central park. The restaurant is a smaller cozy place that offers local fare for lunch and great views of the Park. NOTE: The group may be reserved on the patio, weather depending. Please be aware that most seating is “high tops”, there are a few regular dining tables. NO guarantees of seating. Served with choice of ONE soft drink per person. After a nice stroll and lunch, what about a boat ride? Adventuresome for the first time visitors seeking flora and fauna or seeking an off-the-beaten-path vacation experience won’t be disappointed when they discover the Winter Park Scenic Boat Tour. Located on Lake Osceola in the quiet suburbs, the boat tour offers hour-long, guided cruises through three of the seven lakes and two, narrow manmade canals on the tranquil Winter Park chain. On any given tour, participants may observe large cranes swooping waterside to snag a large fish or a lazy alligator languishing on a nearby bank. Your guests may see an occasional water skier or racing shell full of crewmembers from the areas private liberal arts college, Rollins, are also enjoyable sideshows for tour goers. The Walt Disney World Swan is approximately 23 miles (37 km) from Orlando International Airport as about 40 minutes by car. Skip the Car! – Unless you plan to venture far from the ICC hotel, a rental car is not necessary on site. The Walt Disney World Swan is serviced by the Walt Disney World transportation system which includes buses to the theme parks, Disney transportation center and Disney Springs (formerly called “Downtown Disney”), and also boat service to EPCOT, Disney Hollywood Studios and the Boardwalk. You may find that renting a car is an unnecessary expense. Mears Transportation – ~$37 / person (shared). Luxury transportation is also available from Mears (855-463-2776). The Walt Disney World Swan is in the midst of four world-class theme parks. Free Disney bus transportation is available among the various Disney World theme parks and to Disney Springs (formerly Downtown Disney), and there is boat service from the dock between the Swan Hotels and Dolphin Hotels with access to the Promenade Pier (Boardwalk), EPCOT and Disney Hollywood Studios. EPCOT, the Promenade Pier and Disney Hollywood Studios are all accessible by walking as well. EPCOT – Where Every Person Comes Out Tired, this multicultural experience offers a flavor of countries from around the world. This park opened in 1982. Disney Hollywood Studios – This is a movie-themed park with attractions based around movies and shows. By the time of our meeting in October 2018, there will be new attractions featuring Star Wars and Toy Story Land. Animal Kingdom – The name says it all as this provides a flavor of animal life from regions around the world and, by the time of our meeting in October 2018, around the universe as there will be a new Avatar movie-themed area. Disney Promenade Pier (BoardWalk) – Various dining, shopping and entertainment activities running until late evening including “street theater” performances. This is a nice place for a stroll after meetings or a day at the parks. Disney Springs – Many shopping and dining options, including entertainment for adults running into the evening. As a service to our attendees, we provide space on the meeting announcement board for job openings via “help wanted” postings. If your company has an opening and would like to advertise to the most talented cable engineers in the world, please feel free to post an ad in the “help wanted” section of our bulletin board at Registration. Attendance at, or participation in, any IEEE conference constitutes consent to the use and distribution by IEEE of the attendee’s image or voice for informational, publicity, promotional and/or reporting purposes in print or electronic communications media. Photographs of copyrighted PowerPoint or other slides are for personal use only and are not to be reproduced or distributed. Do not photograph any such images that are labelled as confidential and/or proprietary.